Summary: With a new CA law going into effect, you may want to boost the proportion of women on your board, even if your bank isn't in CA. We provide you with some things to consider. At any given time in the US, some 4mm people are undergoing some form of orthodontic treatment, like braces, for their teeth. Of note, the American Dental Association (ADA) finds 70% of braces are on females and the majority of these patients are 12-15 years old. 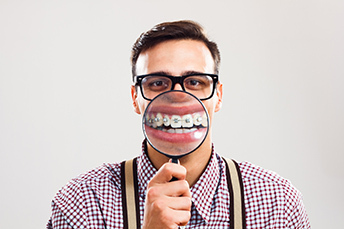 The perfect time to get braces is reportedly 10Ys old and it can take 18 months for braces to straighten teeth. Oh yea, one final tidbit for you this morning comes from a survey done a few years ago. It found 38% of Americans would rule out a second date with someone with misaligned teeth, 38% of people with straight teeth are more likely to be viewed as smart and 37% of people will give up vacations to get nice teeth. As you think about this today and smile, a new bill signed into law at the end of September could have a significant effect on banks that are headquartered in CA, and in the future perhaps on other states, too. The law requires companies to have more women on their boards of directors. In the CA case, "more" is a fairly low numerical requirement. The new law says that publicly traded companies with headquarters in the state must have at least one woman on their boards by the end of 2019. By the end of 2021, companies with 5 directors will need to add at least 2 women, and boards with at least 6 directors will have to add no fewer than 3 women. About 25% of the state's publicly traded firms currently have boards made up entirely of men. The Department of Labor reports 47% of US workers are women, so this move to change things on boards doesn't seem all that out of line, perhaps. After all, women drive an estimated 70% to 80% of purchasing decisions and 51% of women handle the financial decisions in their own families. Women also make up 57% of commercial bank employees. Even if your bank isn't headquartered in CA, there are solid reasons to boost the proportion of women on your board. Doing so ushers in new points of view, as people have different life experiences and perspectives, so diversity like this can assist the board as it adds additional perspectives. Better still, bringing in more women improves bank performance, according to a new study -- but only if you expand beyond just adding one woman or two. The researchers, including a senior economist at the Fed, found that well-capitalized banks with more women on their boards have: better revenue/expense ratios; stronger returns on assets; more energetic stock price growth; and greater measures of creativity and productivity. Interestingly though, those benefits only show up after an organization reaches a diversity threshold. The authors surmise that this may be because women tend to contribute more as the proportion of women in a group rises. Whether you have women on your board or not right now you may want to consider some of the advantages. Women board members can not only provide you with diverse experiences, but also help your bank understand the viewpoints of the other 50% of your customer base. Perhaps, it is even time to brace for change in the board room, as we all seek to better align opportunity and experience. An ABA survey finds the most important things bank customers value from their bank are: little or no fees (22%), account and personal information security (20%), easy to access locations (16%) and good customer service (11%). The FDIC reports nonbanks now account for 44% of the volume of mortgages originated by the top 25 originators vs. 9% in 2009. Coinsource, which has touchscreen machines where customers can buy and sell bitcoin, is the first licensee for such transactions in NY. Coinsource has 200 kiosks and expects to obtain licenses in all 50 states in 2019.